D. Jeff Burton, PE, CIH, noted author and OH&S contributor, lends a hand on this “Ask the Expert” question. Q: How do I go about taking measurements for an old, underperforming laboratory fan for specification of a new fan? A: When specifying a fan, the two basic numbers you need are Q and SP — called the “System Operating Point,” SOP. There are two ways of determining “SP.” According to AMCA , one is the Fan Total Pressure (FTP) and the other is Fan Static Pressure (FSP). The fan static pressure (FSP) is defined as the fan total pressure minus the average velocity pressure out of the fan. 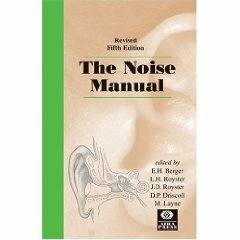 Ask the Expert: Elliott Berger, author and editor of The Noise Manual (available at AIHA press or Amazon), recently commented on the use of low attenuation ear plugs for use in industry on the Yahoo Groups AIHA listserv. In looking over recent posts on low-attenuation earplugs I was pleased to see awareness of the issue of over protection. The E-A-R Hi-Fi earplug was mentioned and indeed that is one moderately priced alternative to obtain less attenuation and a more neutral attenuation characteristic that sounds more natural. Unfortunately there are limited choices in this regard today since there isn’t much pull through from the occupational community. In fact, 3M used to sell the Hi-Fi earplug in the industrial market at the UltraTech (and still does in Europe), but in the US there is so much emphasis on high NRRs that it was difficult to garner interest. Today you can find them at various online retailers. Another excellent uniform attenuation/moderate attenuation hearing protector, in fact the ultimate embodiment of that style is the Etymotic ER-15 Musician’s earplug. It is truly exceptional but will set you back about $150 per pair. It is cost justified for certain occupations such as musicians where the best fidelity is required. Go to www.etymotic.com to learn more.